AMD’s Catalyst 15.7 drivers are out, and with them comes a batch of welcome updates. Windows 10 support is the headlining feature, which of course includes support for DirectX 12 as well. All AMD graphics cards back to the 7000 series will be compatible with DX12, though that doesn't mean every card will support every DX12 feature level. The bulk of that driver meat comes in form of FreeSync support for PCs running cards in CrossFire mode. For those unfamiliar, FreeSync is AMD’s method for synchronizing your monitor and graphics card refresh rates as a means of avoiding screen-tearing without the hassle of V-Sync. The drivers for FreeSync at launch left multi-GPU setups high and dry, but now CrossFire users can get in on the variable refresh fun. Virtual Super Resolution support has expanded heartily. AMD's take on downsampling was originally only available on the R9 285, R9 290, R9, 290X, and the R9 295X2. 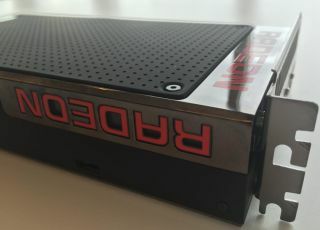 Now, those who own anything in the new Radeon R300 series, the Radeon R7 260 and above GPUS, and any of the A-series 7400K and above APUs can reap the benefits of VSR. The feature makes a game run at a higher resolution than the monitor's native resolution, and the image is then downsampled, which produces smoother edges, as more pixel detail is being crammed into a smaller picture. Frame Rate Target Control launched alongside the Radeon R300 drivers in June, but has opened up to the new R9 Fury X and the R7 260 and above series. The feature allows for custom target frame rates—essentially hard caps. This has the potential to scale back on power draw on certain frame-intensive games. Overall, it’s a nice to see AMD expand features previously locked out to specific GPU series, but it remains to be seen how these drivers and GPUs will handle Windows 10 and DirectX 12 until July 29 rolls around. We'll also be checking out how Catalyst 15.7 affects R9 Fury X performance, if at all. Check out AMD's detailed release notes and known issues here.